California Consulting Announces the Release of US Bureau of Reclamation: WaterSMART- Water and Energy Efficiency Grants - California Consulting, INC. Description: The WaterSMART Program focuses on improving water conservation, sustainability and helping water resource managers make sound decisions about water use. It identifies strategies to ensure that this and future generations will have sufficient supplies of clean water for drinking, economic activities, recreation and ecosystem health. The program also identifies adaptive measures to address climate change and its impact on future water demands. Through the WaterSMART Grants, Reclamation provides 50/50 cost share funding to irrigation and water districts, Tribes, States and other entities with water or power delivery authority. Projects should seek to conserve and use water more efficiently, increase the use of renewable energy, protect endangered species, or facilitate water markets. Projects are selected through a competitive process and the focus is on projects that can be completed within 24 months that will help sustainable water supplies in the western United States. 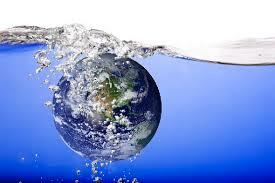 Proposals must seek to conserve and use water more efficiently, increase the use of renewable energy, improve energy efficiency, benefit endangered and threatened species, facilitate water markets, carry out activities to address climate-related impacts on water or prevent any water-related crisis or conflict. California Consulting LLC is the state’s largest grant writing firm. Since 2004, California Consulting has successfully written over 670 grant applications. Through California Consulting’s combined effort the firm has generated approximately 1.5 billion dollars for our clients.